Carey has been the owner/director of Winstars Gymnastics since 1999, when he purchased the club from the Rose family. 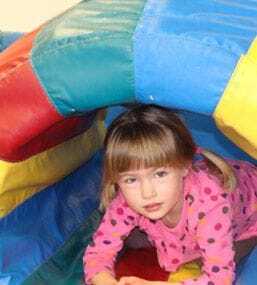 Winstars Gymnastics in Windsor has grown from a very small club into one of the largest gymnastics clubs in southwestern Ontario, along with it's satellite club which services the town of Leamington and the surrounding area. 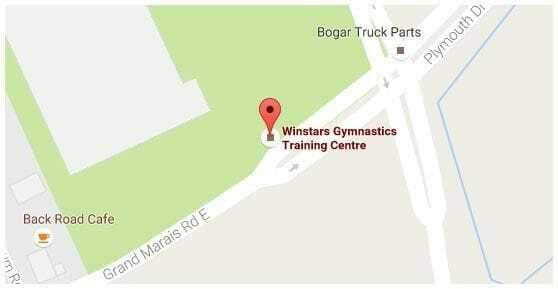 Winstars provides recreational gymnastics programs for individuals ages 18 months to adults. In addition, Winstars provides quality competitive programs for both male and female artistic gymnastics and power tumbling. Many of the athletes have qualified and competed at the provincial, national and international levels under the coaching direction of Carey Vigneux. Carey Vigneux started training in the sport of gymnastics in 1977 and competed for the Harrow District High School gymnastics team until 1982. During this era of gymnastics, most boys that participated in gymnastics trained at their local high school. Unlike today, there were very few gymnastics clubs that had a boy's competitive program. In 1981, Carey was selected as the Most Dedicated Athlete at Harrow High. Carey's love for the sport of gymnastics started in high school and has never ended. In 1982, he began coaching recreational gymnastics, while attending the University of Windsor's Human Kinetics program. In 1983, Carey had a chance to coach the boy's competitive team. He took the opportunity to advance his coaching abilities and has been coaching competitive gymnastics ever since. Carey received his Level 4 certification from the National Coaching Certification Program (NCCP) in 1992, which is currently the highest level of certification in Canada. In addition, Carey is a certified course conductor for the NCCP Level 1, 2, and 3 Technical courses. Carey has provided his input, knowledge to and authored many Gymnastics Ontario technical manuals and annual rules and regulations for men's gymnastics. In addition, Carey has provided his technical expertise at many coaching seminars, clinics and training camps. From 1992 to 2002, he was the Chairperson for the Gymnastics Ontario Men's Technical Committee. Carey is currently rated a National 2 Level Gymnastics Judge in Canada and judges both at the provincial and national levels. Coached many artistic gymnastics and tumbling athletes who received medals at the Ontario Provincial Artistic Gymnastics Championships and Ontario Provincial Tumbling Championships. Attended the National Gymnastics & Tumbling Championships every year since 1988, either as a tumbling or artistic gymnastics coach, artistic gymnastics judge or Ontario team manager. Coach of Darren Bersuk who was a member of the Gold Medal Ontario team to the 1991 Canada Winter Games in Charlottetown, P.E.I. Canadian Team Coach & Manager to the 1991 Pan American Games in Santiago, Cuba. Was a Team Coach or had an athlete on the Canadian Team to the World Tumbling Championships or World Age Group (WAG) Tumbling Championships in 1990 in Germany (Michael Campo (formerly Rosenberger)), 1992 in New Zealand (Justin Osbourne, Tracy Laframboise, Melanie Sylvestre, & Tammy Thrasher),1994 in Portugal (Melanie Sylvestre and Tammy Thrasher), 1996 in Australia (Ryan Lyons and Sarah Miller), and 1999 in South Africa (Ryan Lyons and Daniel Demers-Lajoie). Coach of Justin Osbourne who received a Bronze Medal at the 1992 WAG Championships in New Zealand. Coach of Melanie Sylvestre who placed 4th at the 1994 WAG Tumbling Championships. Coach of Sarah Miller who received a Silver Medal at the 1996 WAG Tumbling Championships in Australia. Member of the coaching staff for the Ontario team tour to Moscow, U.S.S.R. in 1989. Coach of Darren Bersuk from 1984 to 1999, who later attended the 2001 World Gymnastics Championships in Germany. Coach of Cherisse Marier from 1999 to 2001, who won a Silver Medal on Floor at the 2001 Canadian National Gymnastics Championships. After her memorable years, Cherisse received a full ride four year gymnasticsscholarship to Western Michigan University. During her tenure at WMU, Cherisse was one of the most decoratedathletes who ever attended WMU and hold school records on a few events. Received his Antique Pin at the Gymnastics Ontario Annual Awards Banquet in October 2006, for his 20 years of service to the gymnastics community.